I was very happy with the performance of my students both in finding the text features and working in groups. I wanted to have them discuss their frequency charts as a follow up to the previous activity. But first, I wanted to see what new information they had learned about text features. I decided to have them use the same paper for the first “brain dump” to add any new information that they had learned. I had them draw a line under their first writing and add any new information that they had learned. I then had them share their new understandings. I wanted each student to share an answer, so I borrowed some marbles from another teacher and placed a plastic plate in the middle of each table. 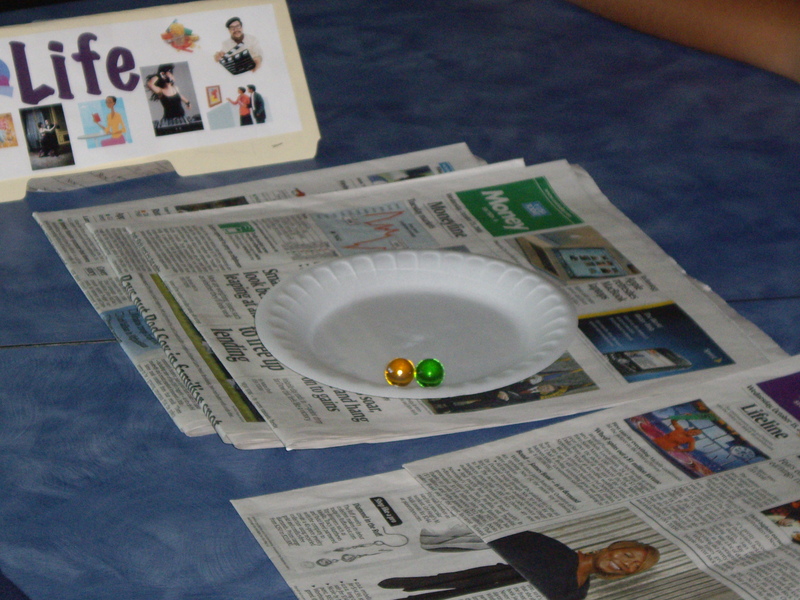 Each student selected three marbles of the same color. Every time they answered a question, they placed a marble in the plate. It was an easy way for me to see who has shared. I discovered, however, that marbles (or anything else that rolls), is not the way to go. I will be purchasing some colored chips to use in the future. The marbles struggled to stay in the plate and they rolled across the table too easy. I had my overhead set up in the pod area and I had one complete copy of the newspaper on each table. 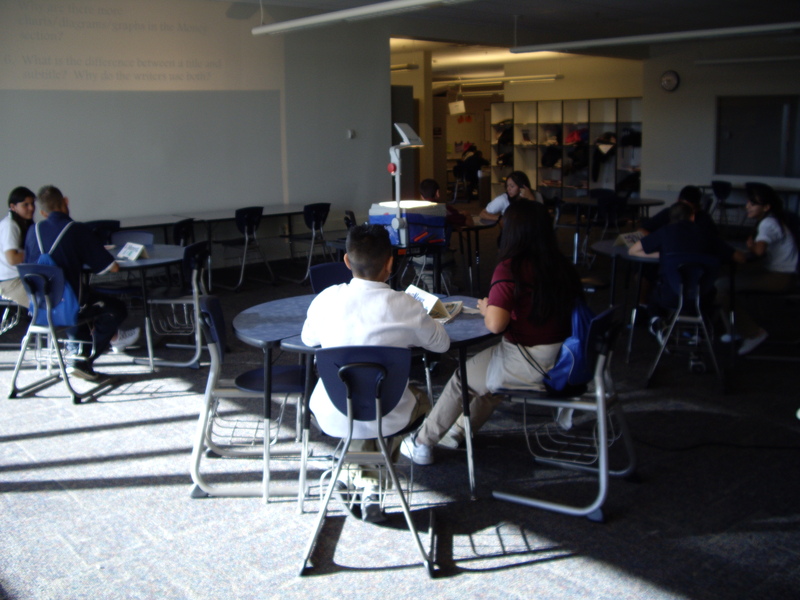 I had students move into the area and sit in groups. I displayed one question at a time and had the groups discuss the answer. After every person had answered, I asked one person to tell me what another group member had said. I discovered that they struggled with really listening to their group members. It allowed me to assess their listening and retelling skill levels. I need to work on group sharing and listening in my future activities.